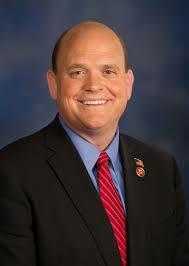 While Congress is in recess for the month of August, U.S. Rep. Tom Reed, R-Corning, has been busy talking to constituents throughout his 23rd Congressional District. Reed recently sat down with The Post-Journal to share recent progress of the Problem Solvers, the wave-making bipartisan caucus he co-chairs. Reed is no stranger to the practice of reaching across the aisle for support. In light of recent allegations against Rep. Chris Collins, R-Clarence, Reed and Rep. Kathleen Rice, D-New York, introduced a resolution that will prevent members of Congress from serving on boards of publicly traded companies. Although the Problem Solvers caucus, which Reed co-chairs with Rep. Josh Gottheimer, D-New Jersey, has not formally addressed ethics issues, he is hopeful about the progress in several other areas. The caucus is made up of 48 representatives, 24 Democrats and 24 Republicans, who have been working to bring issues to the floor that may not otherwise be heard due to house leadership. Reed said that Chautauqua County residents would be most interested in the caucus’ Break the Gridlock reform package, which was announced a few weeks ago. He said that the caucus’ biggest challenge is getting bills to the floor, as extremists can thwart seemingly high-support issues by motioning to vacate the chair. The proposed rule changes say the group will “reward openness and transparency, encourage a willingness to reach across the aisle, create debate on divisive issues, and empower lawmakers to find real solutions concerning our nation’s most pressing matters.” To achieve these goals, new rules would be implemented, including requiring a three-fifths supermajority to approve legislation under ‘closed rules,’ forcing the Rules Committee to consider any legislation cosponsored by two-thirds of the House’s members and giving high priority to bipartisan legislation for full consideration by House committees. John D’Agostino, publisher of the Observer newspaper in Dunkirk, referenced a speech that Reed made last year at the Clarion about bringing the country together. “Has it gotten better since then?” D’Agostino asked.